Switching from the Standard American Diet (SAD) to a healthier diet rich in lean protein, whole grains, healthy fats, fruits, and vegetables offers a number of health benefits. These benefits range from improved mood to increased energy to improved digestion. Despite the increased fiber and water content coming from whole grains, fruits, and vegetables, not everyone notices improved digestion. Those who have recently changed their diet or have been consuming a healthy diet for an extended period of time may be discouraged by the continued instances of gas, diarrhea, and or constipation. You might be concerned that these gastrointestinal (GI) issues are signs of poor nutrient absorption, a barren gut microbiome, or food allergy. don't worry, you?re not alone! But before you rush off to the doctor for expensive test and procedures consider the power of food and supplementation. The purpose of this article is to provide you with key foods and supplements that can help improve digestion, minimize GI distress, and regulate your bowel movements. No article on digestion and bowel movements would be complete without the discussion of caffeine. Caffeine is an incredible compound; not only is it a performance-enhancing stimulant that increases your metabolism to help burn fat, but it can also help you poop! If you?re struggling to get the bowels moving, go ahead and enjoy that cup of coffee in the morning or pre-workout in the early evening! Tiger Fitness offers a wide variety of supplements with caffeine. Nearly all users of probiotics experience no side effects and may begin noticing benefits within a week of consistent consumption. Probiotics are typically counted and sold by the number of colony forming units (CFUs) they contain at the time of processing, bottling, or manufacturing. Keep in mind that although a product may have millions or billions of CFUs of a probiotic strain at the time of production, these CFUs can dramatically vary by the time you purchase the bottle. The number of CFUs can decrease over time especially when exposed to oxygen, moisture, or heat. To preserve potency keep probiotic supplements refrigerated in a cool, dry place. 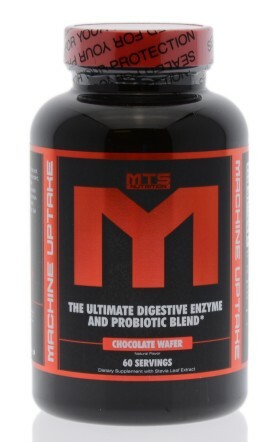 Digestive enzymes are typically used to improve nutrient absorption from food without necessarily affecting the gut microbiome. For example, those with a lactose intolerance, an allergy to milk sugar, do not have adequate quantities of the lactase enzyme to break down the sugars. If you know exactly which foods give you issues then you can take the corresponding digestive enzyme; but digestive enzyme blends are an inexpensive way to insure yourself when consuming a spectrum of foods. 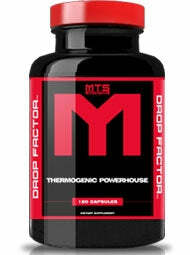 While you can purchase these two products separately, supplements like MTS Machine Uptake combine both products in to one effectively dosed, convenient, and cost-effective supplement. 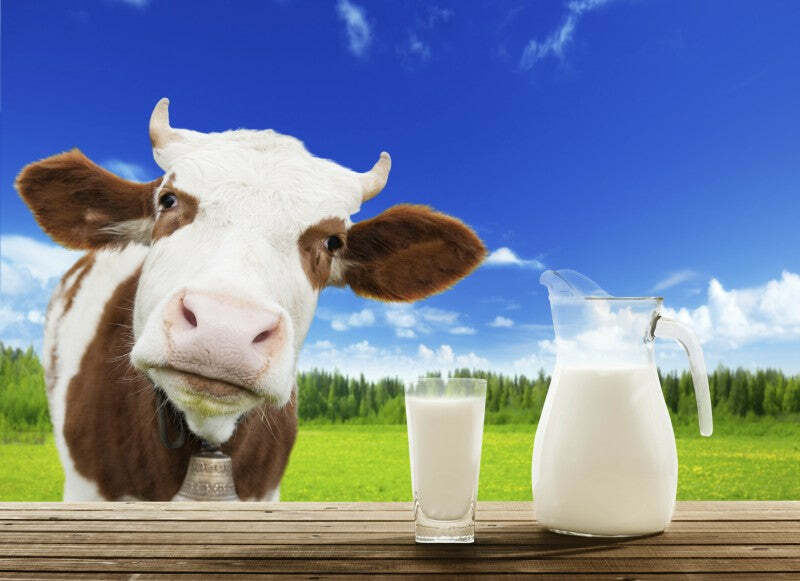 Consuming a digestive enzyme with lactase can minimize or eliminate the undesired GI side effects that may occur as a result of consuming dairy. Use psyllium husk to supplement your dietary fiber intake coming from whole foods; just 5 to 10 grams per day can noticeably improve digestion. Be sure to drink plenty of water alongside psyllium husk as it absorbs water rapidly and can cause choking if not ingested properly. Researchers found that oral ingestion of 30 grams of psyllium husk per day decreased the frequency and intensity of flatulence episodes compared to consuming fiber from other whole foods sources. Supplementing with psyllium means you will not only be farting less, but also less likely to clear the room with the infamously deadly protein farts. Popular psyllium husk products include Optimum Nutrition Fitness Fiber, Muscleology Myofiber, and Species Nutrition Fiberlyze. If you frequently experience abdominal pain and cramping, common symptoms of irritable bowel syndrome (IBS) and other serious GI issues, peppermint oil may be just what you need. Ginger, a popular herb used for cooking and in tea can also aid your digestion. Chamomile is offered in capsule, tea bag, liquid, and tablet forms. Products such as Formutech Nutrition Restore include chamomile as an active ingredient. Aloe vera, the plant commonly used to treat sunburns, offers a number of digestive benefits. Oral consumption of 100-200mg aloe or 50mg aloe latex in the evening can reduce or eliminate constipation. Exceeding the recommended dosages may cause diarrhea and loose stools, so make sure you?re following the dosing protocol on the supplement bottle or as prescribed by your healthcare provider. 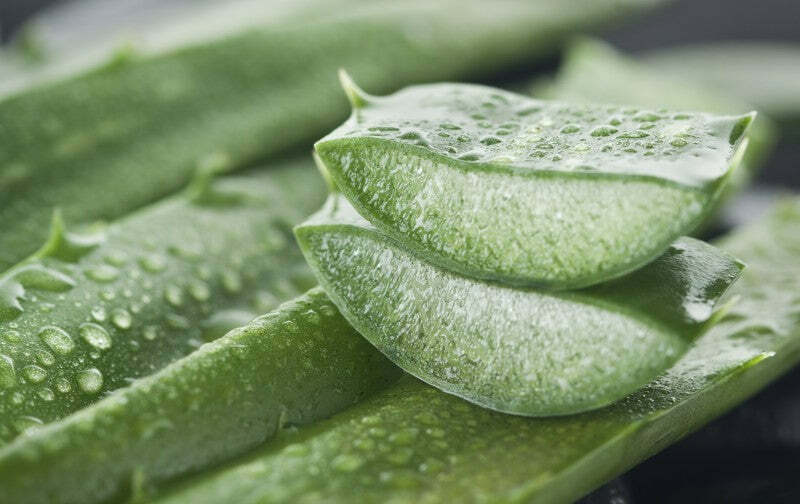 Another study found that aloe vera did not relieve abdominal pain, but when combined with celandine and psyllium, can increase bowel movement frequency, soften stools, and decrease dependence on laxatives in men and women with chronic constipation. You can find aloe vera meant for oral consumption in both gel cap and liquid forms. 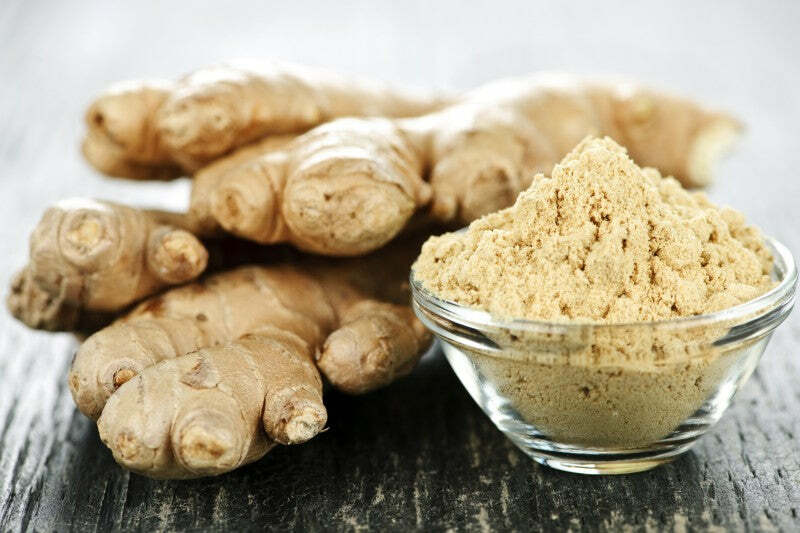 If you?re looking for an alternative to raw ginger root then you can also consume ginger ale, ginger tea, crystallized ginger, or ginger syrup to obtain the recommended dosage. Supplements with artichoke leaf include Top Secret Nutrition Vita-T, Futurebiotics Detox, Top Secret Nutrition Super Greens & Reds, and Champion Nutrition Liver Cleanse. 1) "Peppermint - Scientific Review on Usage, Dosage, Side Effects | Examine.com." Independent Analysis on Supplements & Nutrition | Examine.com. N.p., n.d. Web. 8 July 2015. 2) "Are Probiotics and Prebiotics Important for Health? - Mayo Clinic." Mayo Clinic. N.p., n.d. Web. 8 July 2015. 3) Roxas, Mario. "The Role of Enzyme Supplementation in Digestive Disorders." Alternative Medicine Review. N.p., 2015. 4) "Psyllium." MedlinePlus Drug Information. National Library of Medicine - National Institutes of Health, 2015. 5) "Psyllium - Scientific Review on Usage, Dosage, Side Effects | Examine.com." Independent Analysis on Supplements & Nutrition | Examine.com. N.p., n.d. Web. 8 July 2015. 6) "Peppermint - Scientific Review on Usage, Dosage, Side Effects | Examine.com." Independent Analysis on Supplements & Nutrition | Examine.com. N.p., n.d. Web. 8 July 2015. 7) "Peppermint Oil in Irritable Bowel Syndrome. - PubMed - NCBI." National Center for Biotechnology Information. N.p., n.d. Web. 8 July 2015. 8) "Peppermint Oil." NCCIH. N.p., n.d. Web. 8 July 2015. 9) "Chamomile: Herbal Information From WebMD." WebMD. N.p., n.d. Web. 8 July 2015. 10) Srivastava, Janmejai K, Eswar Shankar, and Sanjay Gupta. ?Chamomile: A Herbal Medicine of the Past with Bright Future.? Molecular medicine reports 3.6 (2010): 895?901. PMC. 11) "Chamomile." NCCIH. N.p., n.d. Web. 8 July 2015. 12) "Aloe: MedlinePlus Supplements." National Library of Medicine - National Institutes of Health. N.p., n.d. Web. 8 July 2015. 13) "A Double-blind Trial of a Celandin, Aloevera and Psyllium Laxative Preparation in Adult Patients with Constipation. - PubMed - NCBI." National Center for Biotechnology Information. N.p., n.d. Web. 8 July 2015. 14) "Ginger: MedlinePlus Supplements." National Library of Medicine - National Institutes of Health. N.p., n.d. Web. 8 July 2015. 15) "Laxative Dos and Don'ts." Whole Health Insider. N.p., n.d. Web. 8 July 2015. 16) "Ginger - Scientific Review on Usage, Dosage, Side Effects | Examine.com." Independent Analysis on Supplements & Nutrition | Examine.com. N.p., n.d. Web. 8 July 2015. 17) "Choleretic Activity and Biliary Elimination of Lipids and Bile Acids Induced by an Artichoke Leaf Extract in Rats. - PubMed - NCBI." National Center for Biotechnology Information. N.p., n.d. Web. 8 July 2015. 18) "Artichoke Leaf Extract Reduces Mild Dyspepsia in an Open Study. - PubMed - NCBI." National Center for Biotechnology Information. N.p., n.d. Web. 8 July 2015.